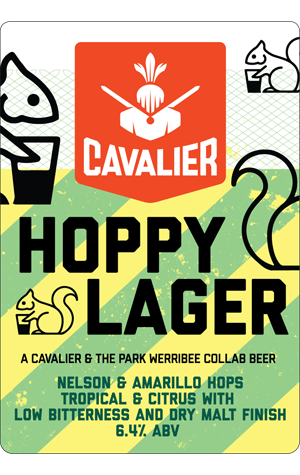 They love a collaboration at Cavalier and it's another one that has brought this Hoppy Lager into life. It's been created with The Park in Werribee, who snaffled the only kegs in Victoria, with the rest making their way to Queensland. The hops come in the shape of Nelson Sauvin and Amarillo, layered atop a pretty simple malt base to create what the brewers are calling a "big ol' hoppy lager with tropical, fruity, citrus aromas and flavours, low bitterness and a dry malty finish."